KOREAN BARBECUE; A TIME HONOURED TRADITION! 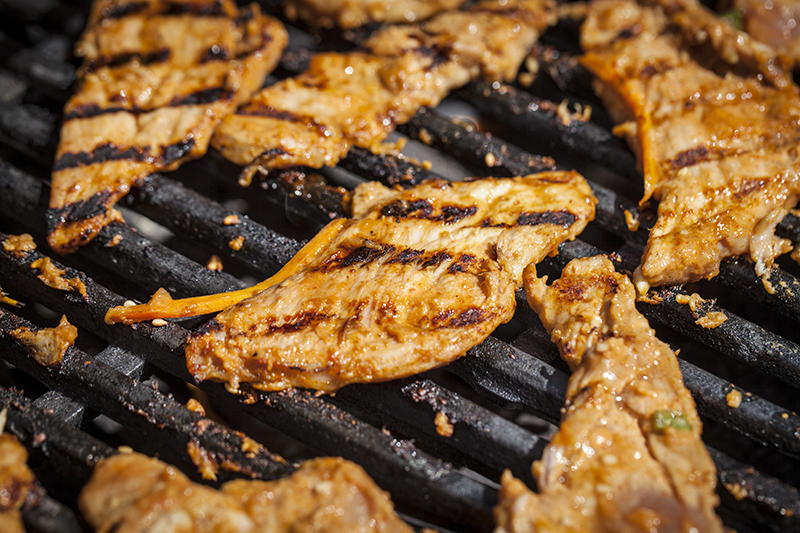 Korean Barbecue or “Gogigui” is a popular way of marinating and preparing meat (usually thinly sliced) for the grill. Korean Barbecue is normally eaten at the table where a small gas or charcoal grill is placed in the centre and diners are invited to cook portions of meat on the grill themselves. That however, should not deter you from preparing delicious “Bulgogi” (thinly sliced beef marinated with soya sauce, scallions and garlic), “Galbi” (thinly sliced short ribs marinated in soya sauce, garlic, sugar and sesame oil) and “Daejibulgogi” or “Dak Galbi”; pork and chicken dishes both prepared thinly sliced and marinated similarly to “Bulgogi and Galbi” with the addition of Korean chili paste. 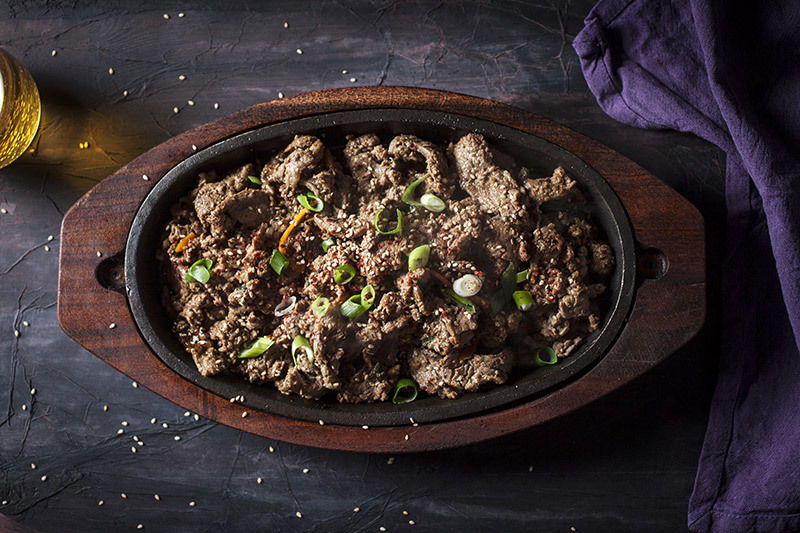 In this post I will be preparing “Bulgogi” and “Daejibulgogi” along with homemade “Kimchi”, a delicious fermented side dish that accompanies Korean Barbecue perfectly. When preparing “Bulgogi”, a premium cut of beef such as filet mignon can be used however, I see no point in the expense. 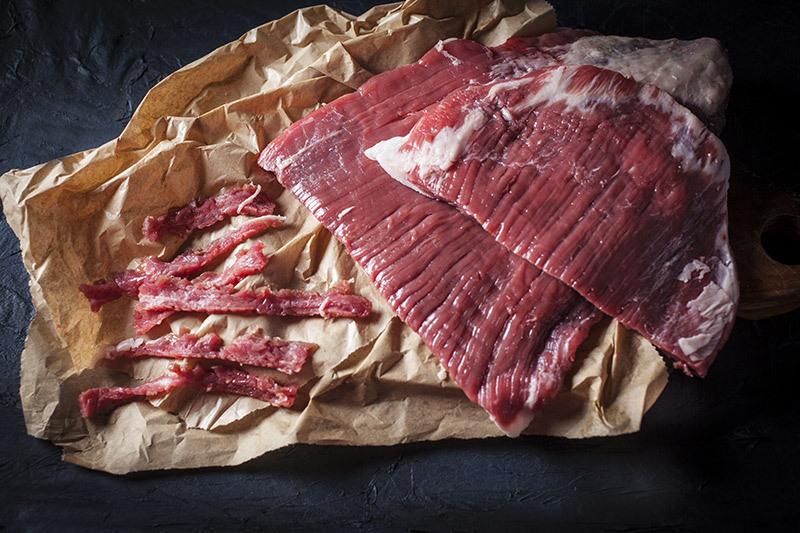 As “Bulgogi” is so thinly sliced, I like using flank as it has a nice beefy flavour and absorbs marinades really well. 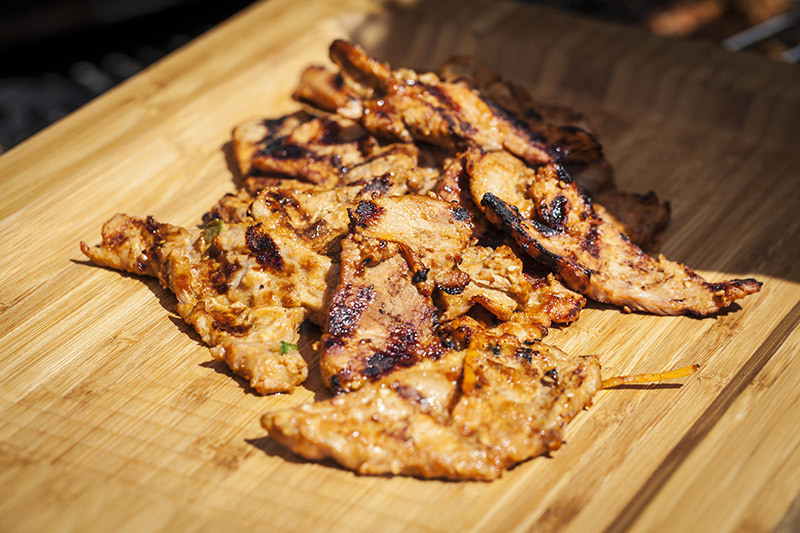 Once it’s cut thinly across the grain, it becomes very tender when cooked on the grill. When preparing “Daejibulgogi” I use pork tenderloin. As the name infers, tenderloin is in fact extremely tender and very lean, meaning that there is very little shrinkage when cooked. Marinate the beef overnight if possible however, a few hours will suffice. 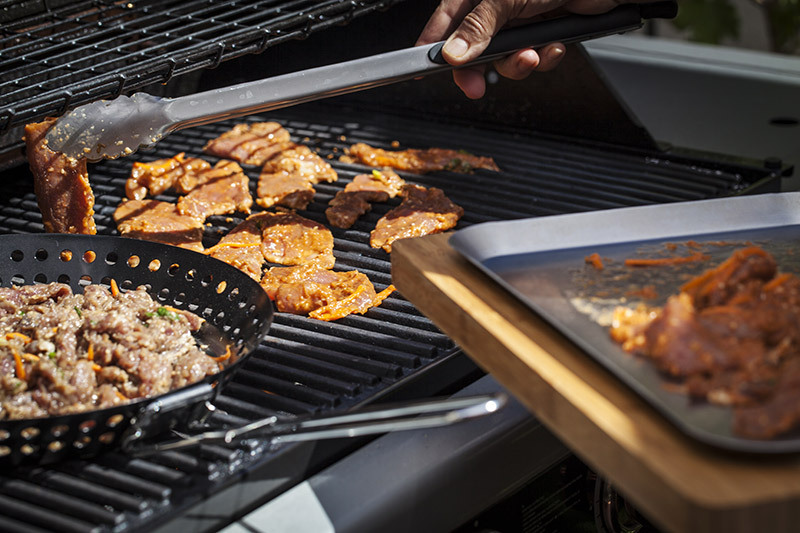 Preheat your grill to maximum as well as a grilling wok. A grilling wok is imperative here as the meat is so thinly sliced that it will fall through the grill. Test the wok by placing a small piece of meat on it. If it dances around, the wok is ready. 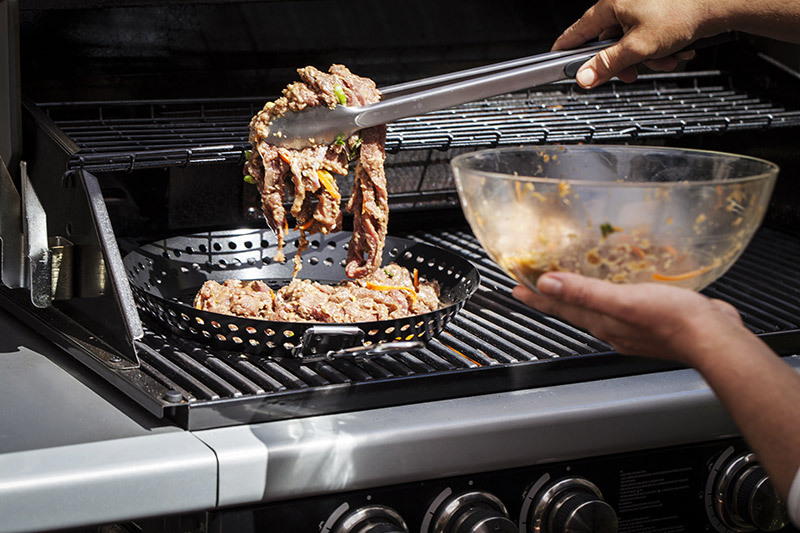 Click on the image to view BBQXL’s grilling wok. 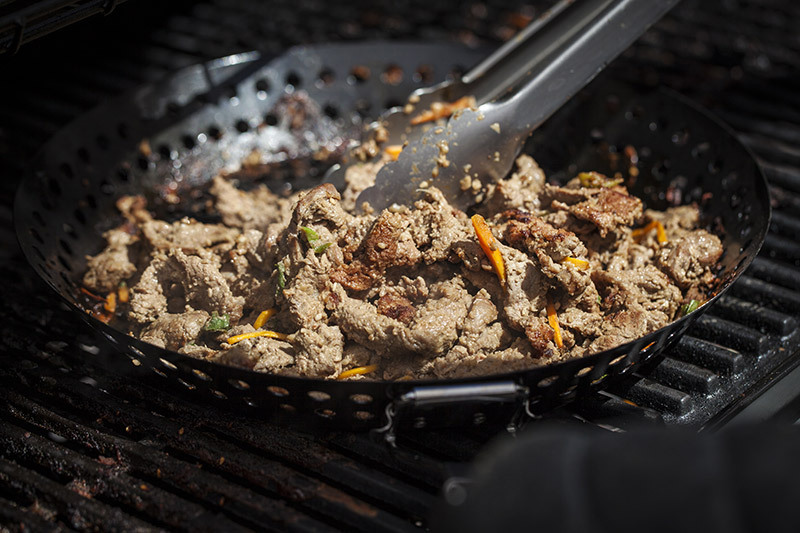 Marinate the pork for the same amount of time as the beef. 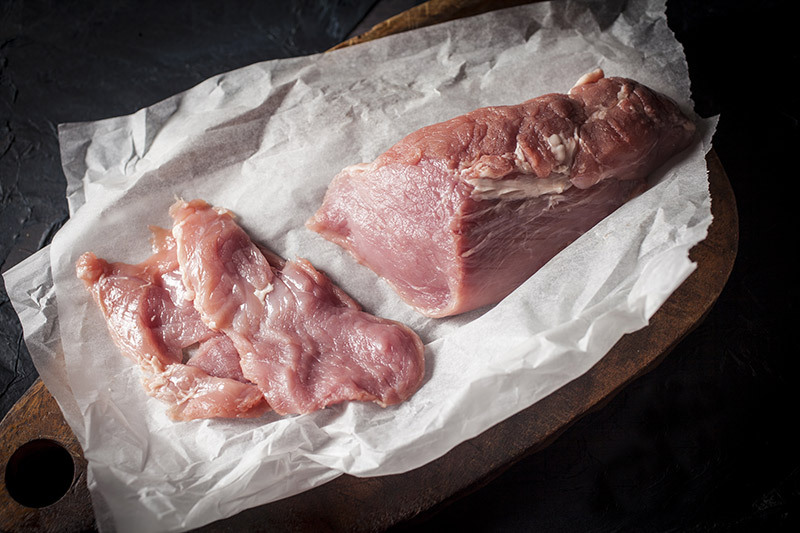 Be sure to keep the dishes used for raw meats and cooked meats separate. 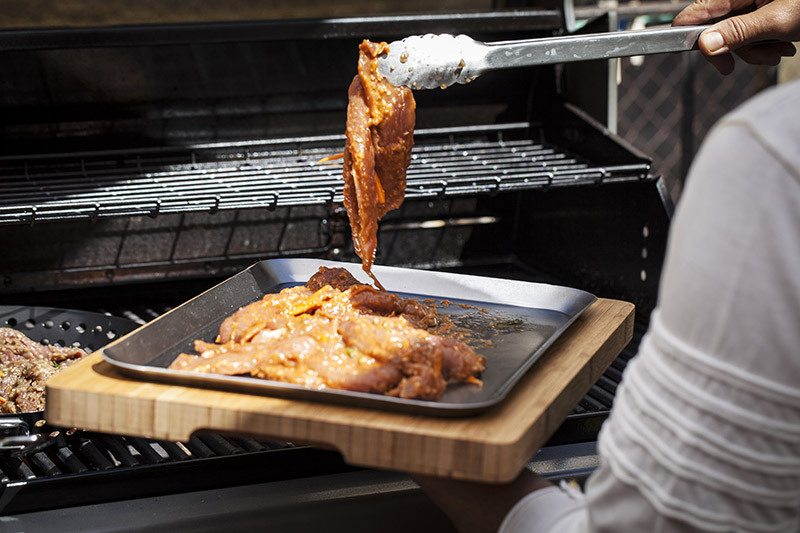 Click on the image to view BBQXL’s Bamboo Chopping Board and Stainless Steel Tray, an ideal accessory for any barbie enthusiast. Grill the pork at the same time as the beef. Both will cook quickly so be sure to stick around the grill to monitor. 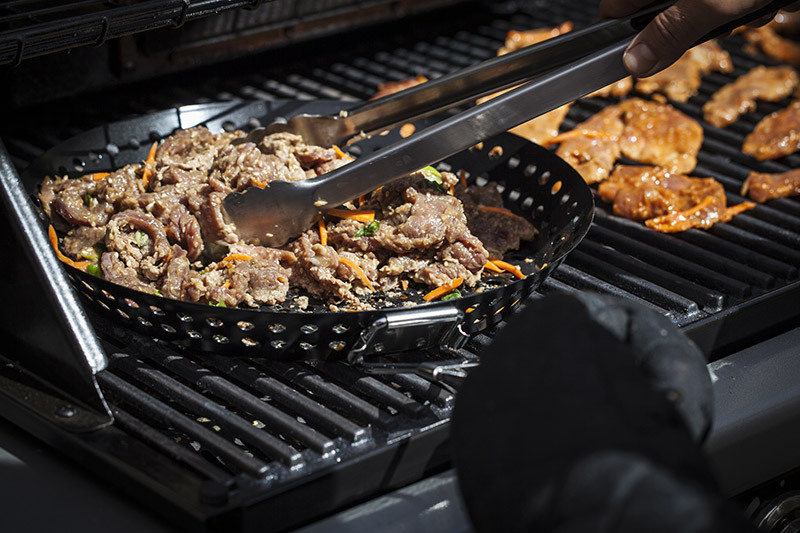 Remember that when handling the grilling wok to always protect your hands and wear heat resistant gloves. Click on the image to view all of BBQXL’s great accessories. Remove the beef from the grill when it starts turning golden brown. Ready for serving and truly delicious! See serving suggestions and recipe links below. 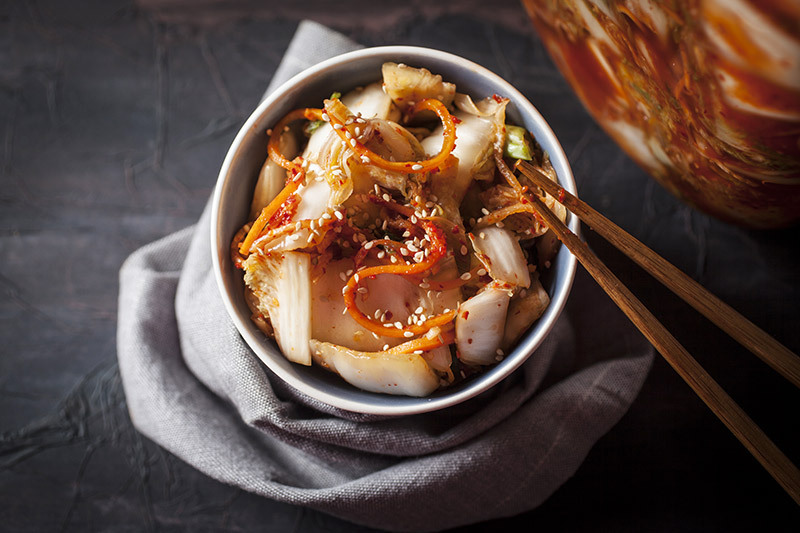 “Kimchi” is a type of Korean fermented vegetable preparation of which there are many kinds, such as Chinese/Napa Cabbage (the most traditional and well-known), Bok Choy/Pak Soy and Daikon (long white Asian radish), just to name a few. It’s an absolute must-have as a side when serving Korean barbecue along with many other types of “Banchan”; Korean side-dishes. It’s believed that fermented vegetables are high in salt content however, to be honest, there’s more salt in a bag of potato chips. In fact, after the salting at the beginning of the Kimchi process and once the cabbage has wilted, it is washed clean of all salt and is thoroughly rinsed. Kimchi does not call for raw salt in any recipe. The salt content of Kimchi is mostly derived from the addition of fish or shrimp sauce during its preparation. If you make Kimchi at home as I do, you can monitor the salt content easily. The fact of the matter is that Kimchi is believed to be among the top 5 healthiest foods on Earth and its health benefits are plentiful. Plus, it’s unbelievably delicious and really easy to make! 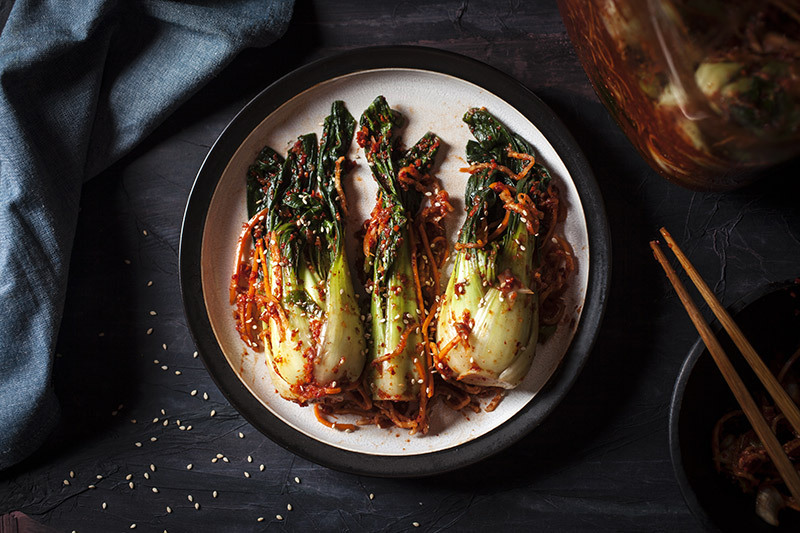 The basic ingredients you’ll need to make “Baechu Kimchi”, the most well known and readily available Kimchi, made from Chinese/Napa cabbage and other great ingredients. 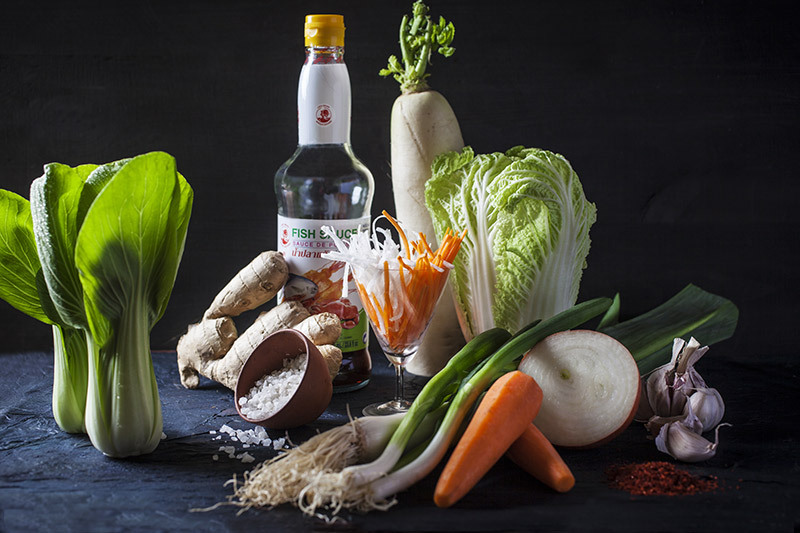 You’ll come across all of these ingredients in most Asian supermarkets. 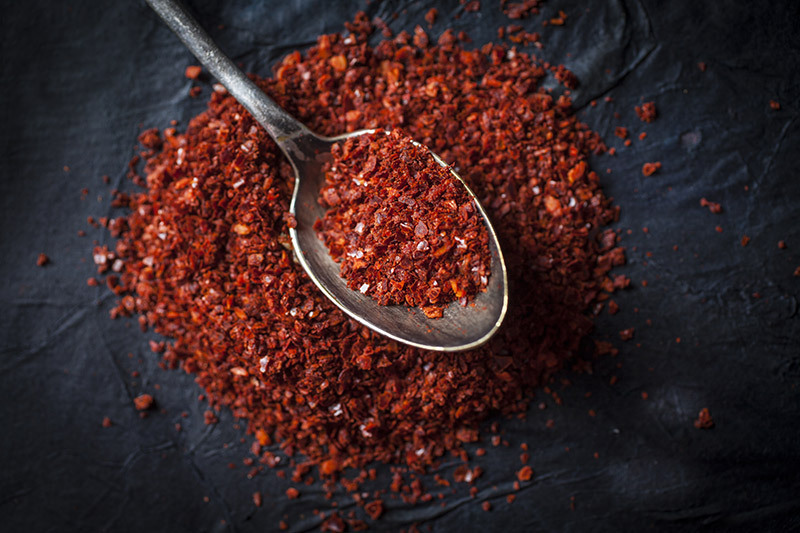 “Gochugaru or Kochukaru” are Korean hot pepper flakes used in the preparation of Kimchi. I have used other types of chili pepper flakes when making Kimchi however, the flavour just isn’t quite the same. For that reason, I strongly urge you to find the traditional flakes and use those for a very authentic flavour. These are two types of Kimchi that I prepared at home and have fermenting in jars. 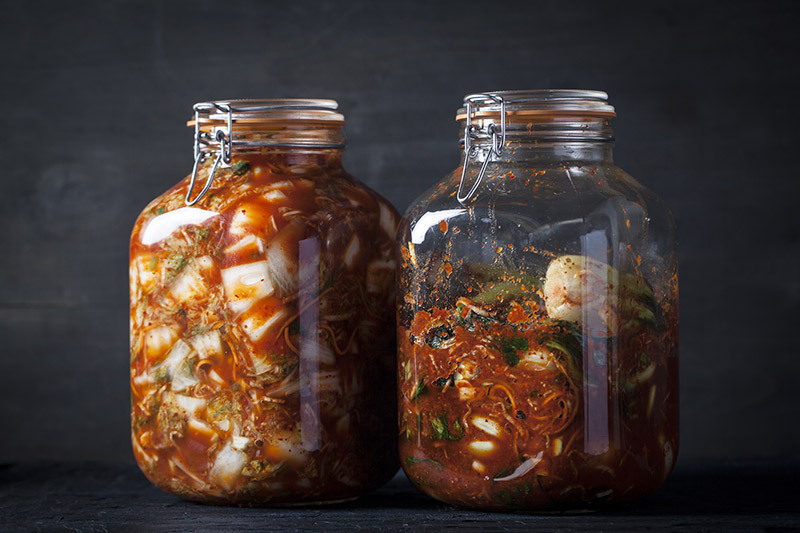 The fermentation process happens quite quickly with Kimchi, a matter of 2-3 days depending on the temperature, after which time the Kimchi can be placed in the fridge where it will last for up to a year. Remember that when fermenting in glass jars as shown above, to be sure to open the jars at very regular intervals (every 8 hours or so) to release the gas build-up. Cover the lid of the jar with a cloth before opening to prevent gas from shooting Kimchi all over your kitchen; as was my first experience! Kimchi prepared with Bok Choy/Pak Soy. Though Kimchi of any sort may appear wilted at first glance, you can believe me when I say that it’s anything but soft and mushy. It’s crisp, refreshing and bursting with flavour! Traditional “Baechu Kimchi” made from Chinese/Napa cabbage. Kimchi can also be eaten as soon as it’s made and before the fermentation process begins to sour the vegetables, as seen above. Sprinkle with sesame seeds and drizzle with toasted sesame oil before serving. Delectable! Click on the picture for how to prepare Kimchi yourself. Now it’s time to enjoy what’s coming from the grill! Now that you’ve prepared the Kimchi and the Gogigui is ready on the BBQ, it’s time to eat. 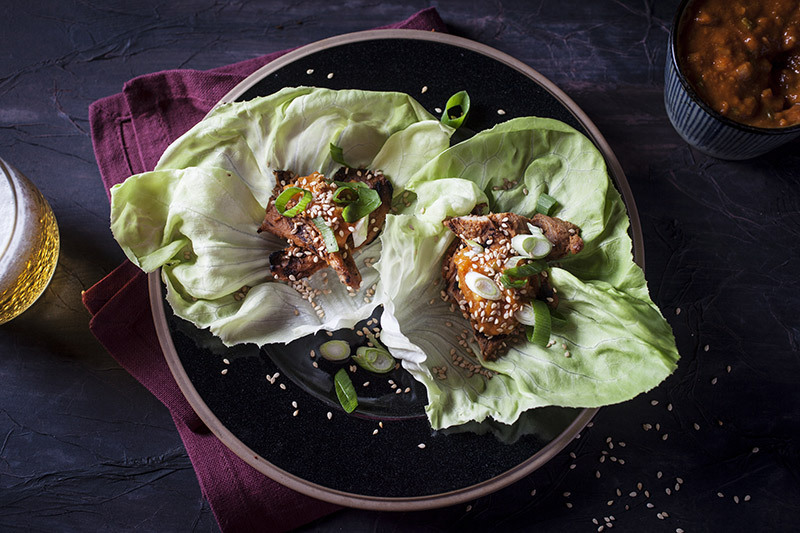 Serve the meats from the grill in the traditional manner with Boston/bib/butter or any curly leaf lettuce as well as sesame seeds, green onion and “Ssamjang”; Korean hot dipping sauce. Click on the image for the “Daejibulgogi” pork recipe. 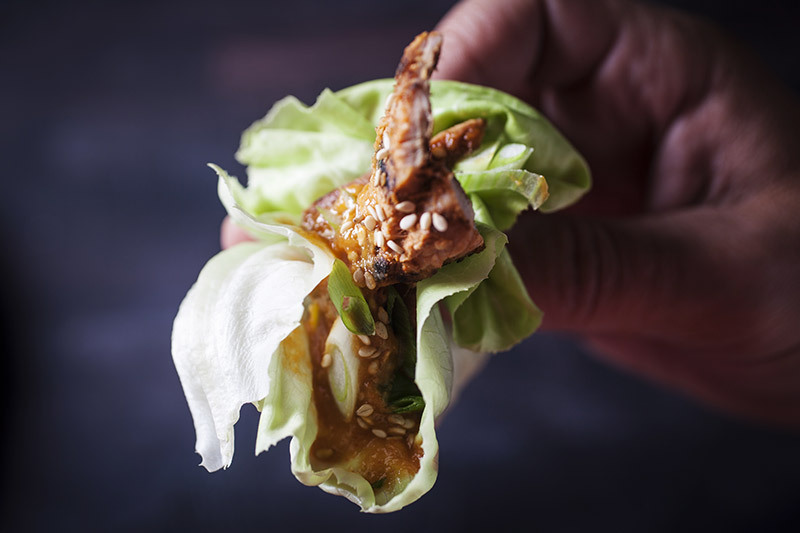 Make a pocket with the lettuce leaves and enjoy your Korean barbecue just as the Koreans do. 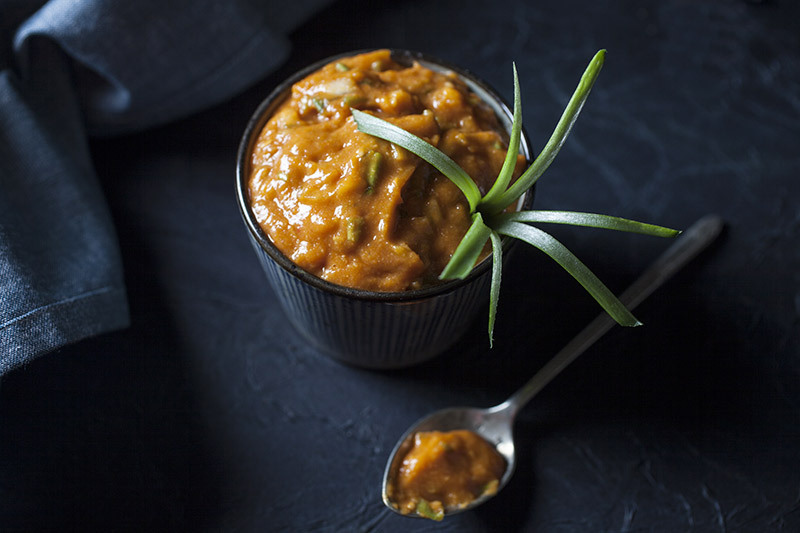 “Ssamjang”, Korean spicy dipping sauce. Click on the image for the recipe. 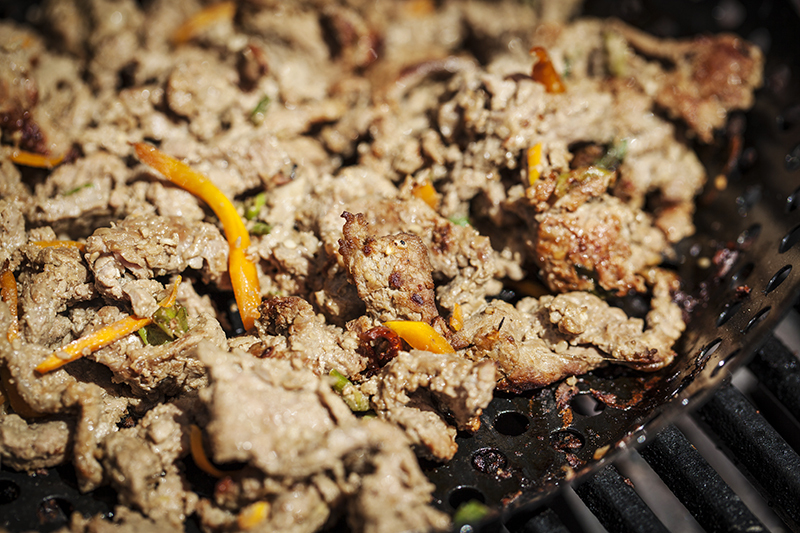 “Bulgogi”, Korean style beef from the grill. If you have one, use a cast iron sizzling skillet you can heat on the barbie to keep your dish warm long after it’s come off the grill. Click on the picture for the recipe.